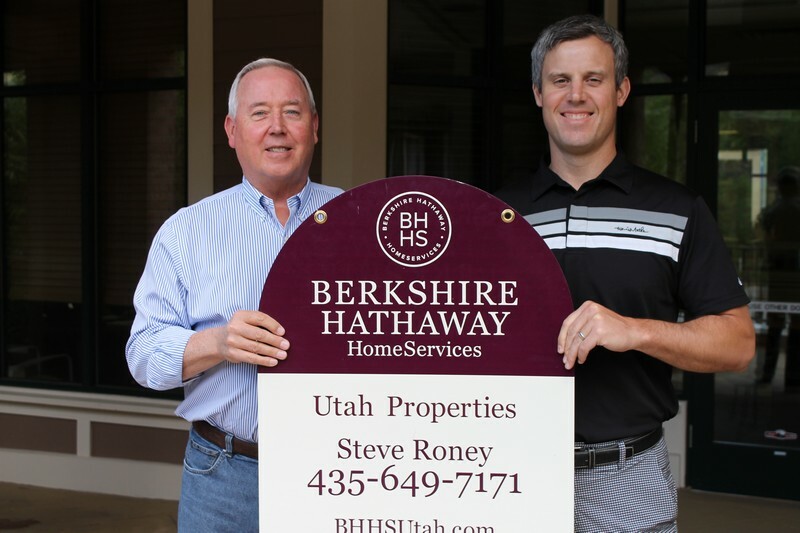 Berkshire Hathaway HomeServices Utah Properties Chairman and CEO Stephen Roney, left, and his son and Senior Vice President Thomas B. Roney display one of the new signs that has replaced Prudential Utah Real Estate signs throughout town. Alexandria Gonzalez/Park Record. Prudential Utah Real Estate signs throughout Park City have been replaced with the signature "Cabernet and Cream" Berkshire Hathaway HomeServices Utah Properties signs, notifying current and prospective clients that Prudential has joined the highly regarded network. Utah Properties Chairman and CEO Stephen Roney said his is the first brokerage in Utah to affiliate with Berkshire Hathaway, a name and network he said carries weight in real estate not only domestically but also internationally. That network now includes nearly 28,000 agents and 750 offices in 37 states. "We love the Berkshire Hathaway name, its heritage and what it stands for in the world," he said. 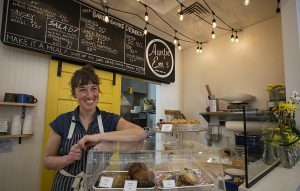 "It’s the world’s most respected brand, according to Barron’s [famed annual poll], so it has global recognition." Barron’s, a financial magazine, stated in July of last year that Berkshire Hathaway had earned the title of World’s Most Respected Company over Apple. Roney said consumers will identify with the brand and name knowing it is owned by business magnate Warren Buffett. "While foreign buyers have historically represented less than one percent of buyers in our market, I believe Berkshire Hathaway will encourage international buyers to consider Utah an ideal place for a vacation home," Roney said. "Foreign buyers will engage with our top agents and are more likely to do so because of Berkshire Hathaway’s globally known name, reputation and background." 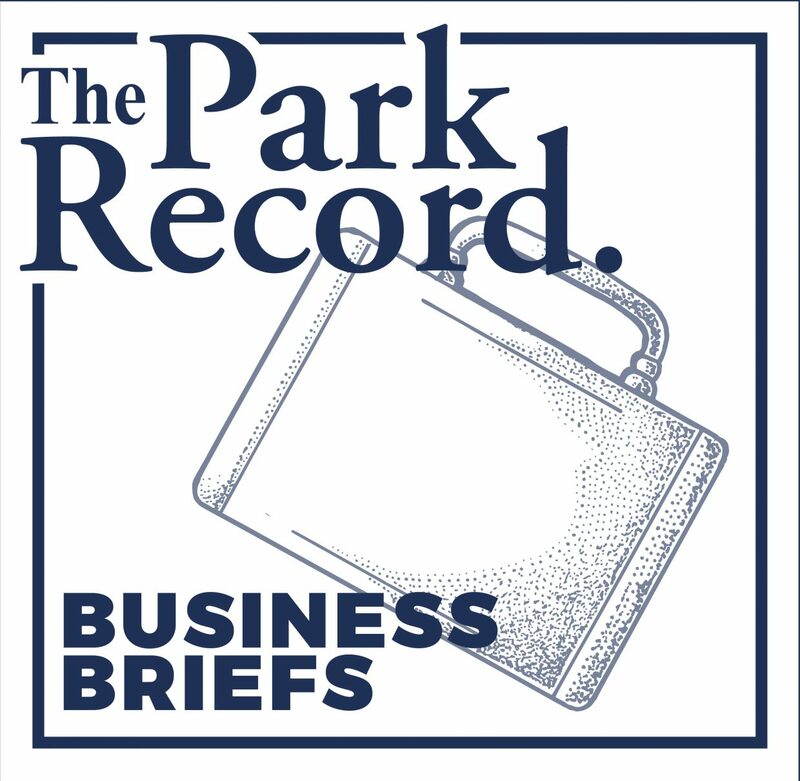 The national "roll out" of the switch from Prudential to Berkshire Hathaway began in southern California in the fall of last year, but Roney wanted to wait until the ski season was over to make the change in Park City. 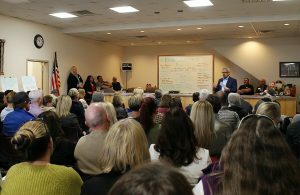 The corporate office in town is the first to have made the change, and Roney’s offices in the Salt Lake Valley and Ogden are currently in the "roll out" process. While the signs are a superficial change, Roney said the more significant changes will be the infrastructure and support they will be receiving from Berkshire Hathaway. "Berkshire Hathaway HomeServices will offer a robust suite of real estate tools and resources through its Global Network Platform, which includes lead management, customer contact management, extranet, mobile capabilities and social media monitoring and management," he said. 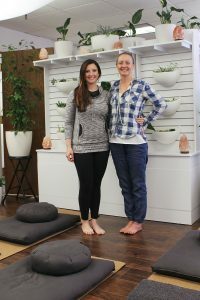 "Additionally, the BHHS media center will house a full array of marketing materials for agents." 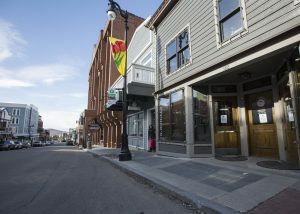 According to Park City Board of Realtors’ last two quarterly reports, real estate in town is on the upswing and still recovering from the recession in 2008. Roney said Berkshire Hathaway’s ability to maintain its balance and credibility during and following the 2008 crash creates a level of comfort in going through with the switch. His Realtors, he said, are very happy with the change and looking forward to using the data Berkshire Hathaway provides as well as the networking tools and brand credibility. "I’ve said before, to our agents, ‘If I had to go into a dark room one day and come out with one name I would like to us to have instead of Prudential, what would it be?’" Roney said. "It would have been Berkshire Hathaway, so my agents and I are beyond happy with the change." The corporate headquarters of the new Berkshire Hathaway HomeServices Utah Properties office are located at 890 Main Street. For more information, visit http://www.bhhsutah.com or call 435-649-7171. Editor’s note: This article has been updated to reflect that the brand colors of Berkshire Hathaway HomeServices are officially known as "Cabernet and Cream" and not "purple and beige," as originally described.